Moving right along on my sock! 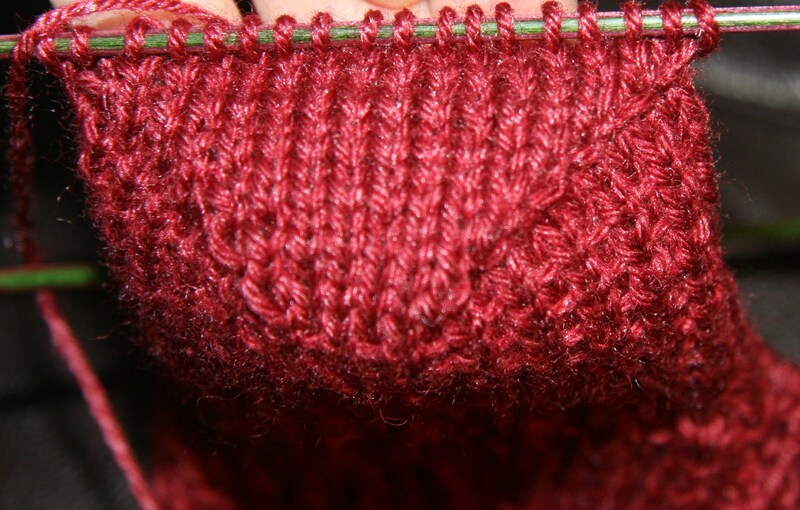 (A Roll in the Hay) Yesterday I knitted the heel flap. I did a slip stitch heel, and I just thought it looked so nice with this yarn in particular. Here it is! I am fascinated by the heel of a sock. You take a tube, add a flap, pick up stitches and make this cool heel. So now I am working on “Shaping the Gusset”. If that term doesn’t make a person feel like a “real knitter”, nothing will! It occurred to me that after I finish this sock, I need to knit the other one. That’s a problem when I am already looking longingly towards the next pattern. I don’t suppose that I could work my way through the book, knitting only one sock from each pattern. What if I promised to come back and knit the second ones later? I know, bad bad idea. The second sock should go much more quickly though now that I have figured the pattern out. And then I will start a pattern called Two To Tango! It involves a little color work where I will knit little fishies! It’s pretty cool outside today (relatively speaking). Davey likes to go downtown and “stroll”. He gets in his stroller and we wander around town. So I think we are going to go do that now before it gets too warm or the sun comes back out. 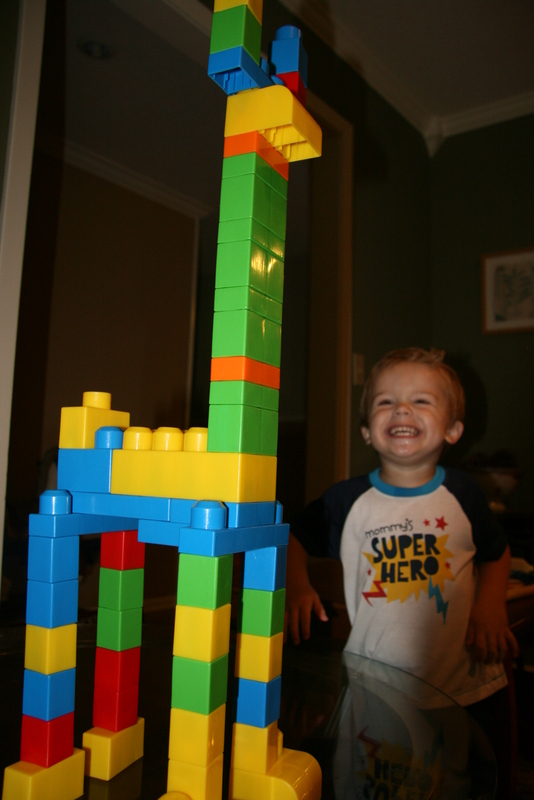 Finally, this morning, David and Davey were building. I was trying to take pictures of them, and Davey kept saying, “Mommy you startled me!” everytime the flash went off. 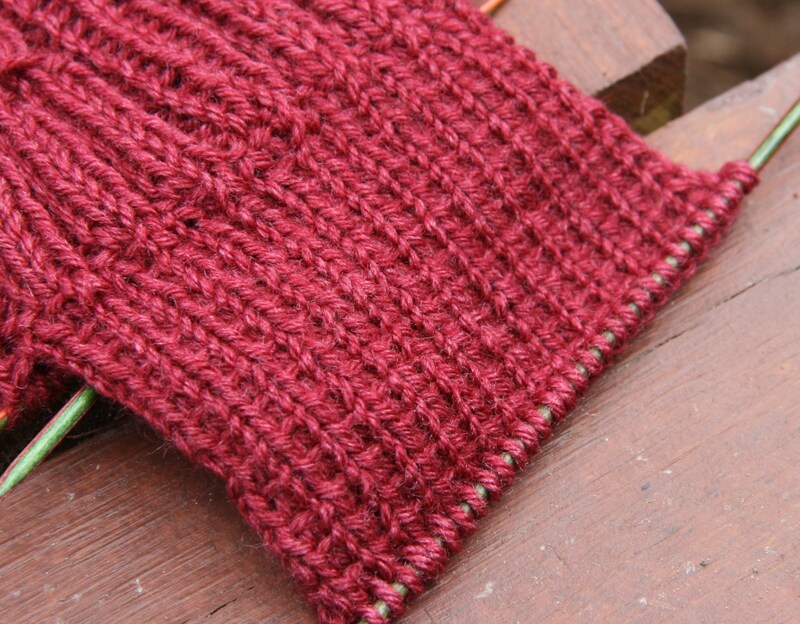 This entry was posted in Uncategorized and tagged Joy of Sox, Knitting, knitting a heel by cpeezers. Bookmark the permalink.